Holiday fashion, dÃ©cor and a merry time was had by all at the latest Momtrends Soiree hosted at the Lands&apos;?? End showroom. We kicked off the night with a blogger fashion show featuring classic and versatile holiday looks and fashionable ensembles from Lands&apos;?? End. After the crowd mixed and mingled, they were able to watch our mini-fashion show featuring the Lands&apos;?? 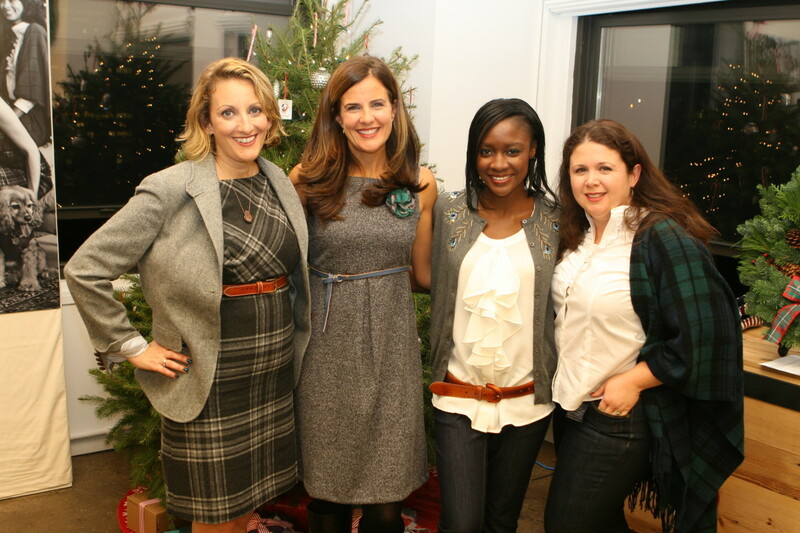 End Holiday attire that was modeled by three fabulous bloggers. First up was Kerri from Raising Three Savvy Ladies who sported a gorgeous soft wool tartan plaid wrap, a feminine ruffle blouse, ultra fit denim jeans and expandable suede pull on boots. Next was Alicia from Mommy Delicious who looked fabulous in the embroidered cardigan, a sleeveless silk bow, sparkle wool scarf and metal colored ballet flats. And finally, Nancy from From Hip to Housewife strutted her stuff in a flannel jumper, tweed blazer, perforated belt, red plaid flower pin and leather riding boots. Thanks to Lands&apos;?? End for generously outfitting the models. To stay light on their feet, the ladies where transported along the showroom on the award-winning scooters from Kickboard USA. 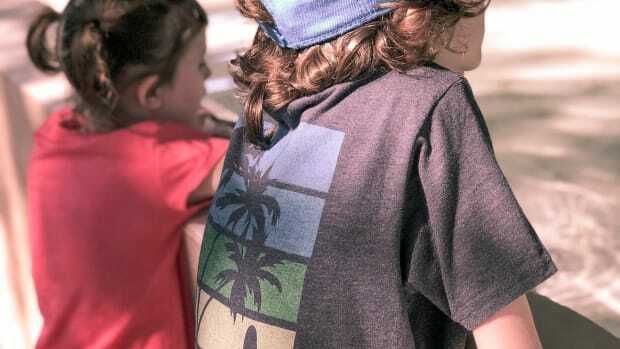 Designed for the whole family, Kickboard USA features bright colors and cool styles that are exceptionally made and fabulously fun. 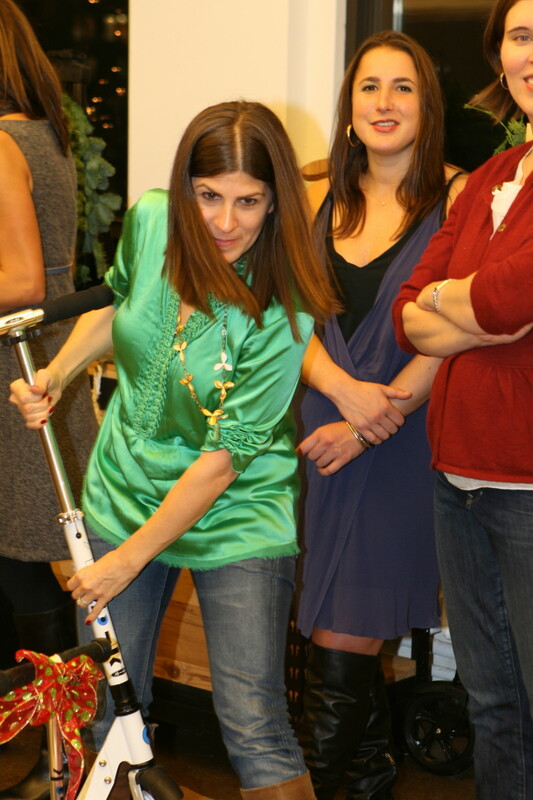 Check out this fun video as the ladies enjoy their fashions and a little play at our party. Several very lucky winners departed with the latest and greatest Kickboards. Thanks Kickboard USA- you are awesome! 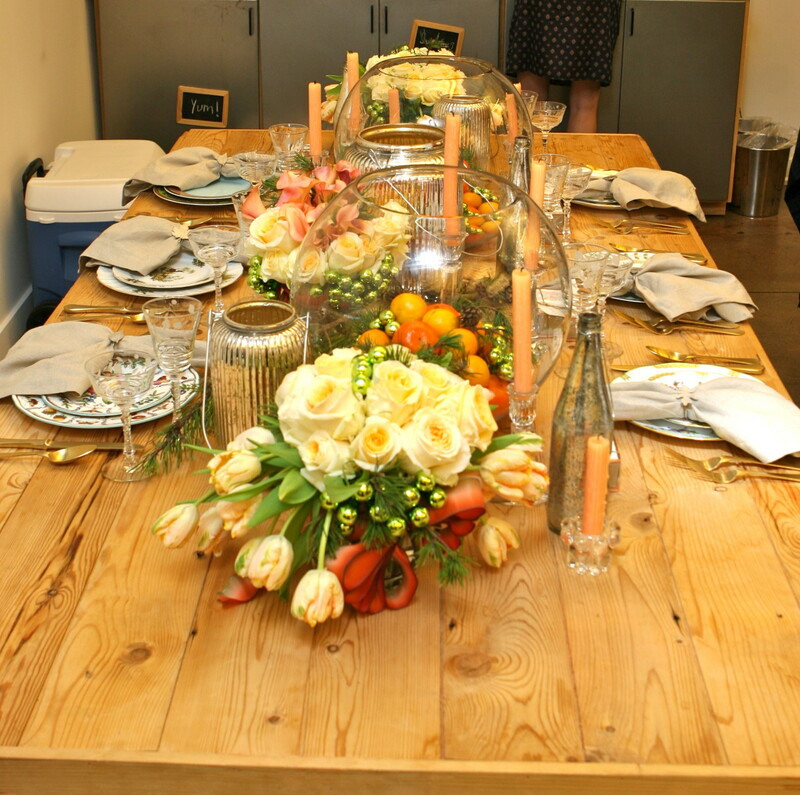 Following the fashion show and scooter mania, Amy Cupp from ABCD Design wowed us with a nostalgic, cozy, mismatched tabletop complete with beautiful flowers and gorgeous centerpieces. The use of linen, wood, twine, and mixed metallics complimented the combination of clear and mercury glass that made for an aesthetically pleasing dining table. It&apos;s all about comfort, nostalgia, and layering and mixing and matching. Solids and patterns play well together. Add a natural element such as wood or metal, and candlelight will bring interest to the table. Eat off the good china - Life is too short. Mercury glass is everywhere this holiday season. It is wonderful because it looks as fantastic at the 4th of July as it does at Halloween and Christmas. Use different textures for your tabletop: shells, wood, moss, bark, and pine cones add a welcome contrast to the slick, cool china and the glimmer of glassware. 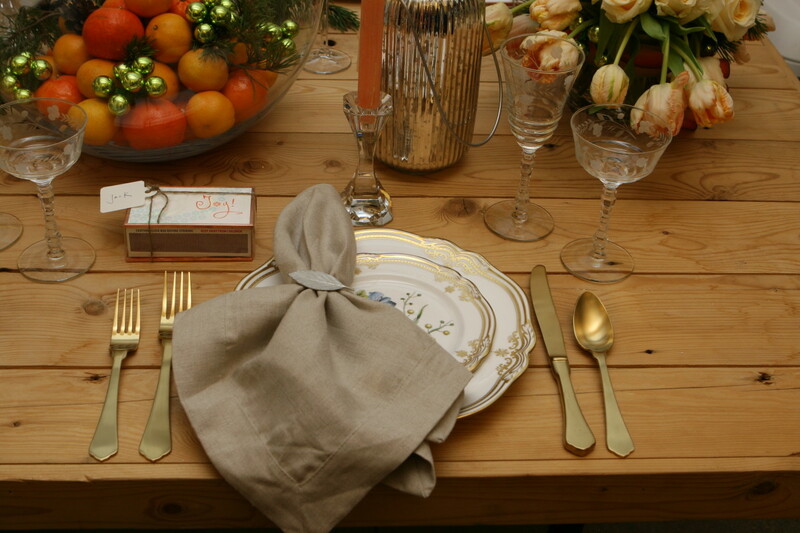 Keep linens a natural color - this makes it easy to re-purpose them at other times of the year. Mix fresh greenery with other wintery elements to get a &apos;Holiday&apos; feel without being predictable. Flicker LED candles are all the rage. They won&apos;t blow out during an event and save on clean-up after a party. Reach for old family pieces and use them in creative ways. Soup tureens, water pitchers, coffee pots and tea cups all make interesting containers for floral decorations. Bowls and pitchers in varying sizes can be filled with colorful fruits, such as persimmons, apples, oranges, cranberries and pears. Make monochromatic flower arrangements that are split in half visually by flower variety. It&apos;s a paired down and clean look that appeals to both modern and traditional aesthetics. Have FUN! Entertaining at home doesn&apos;t have to be fancy or overwhelming. It is the little details that make an evening memorable. Not only about decorating your table and making your guests feel good, the holidays are also a great time to have fun with your look. 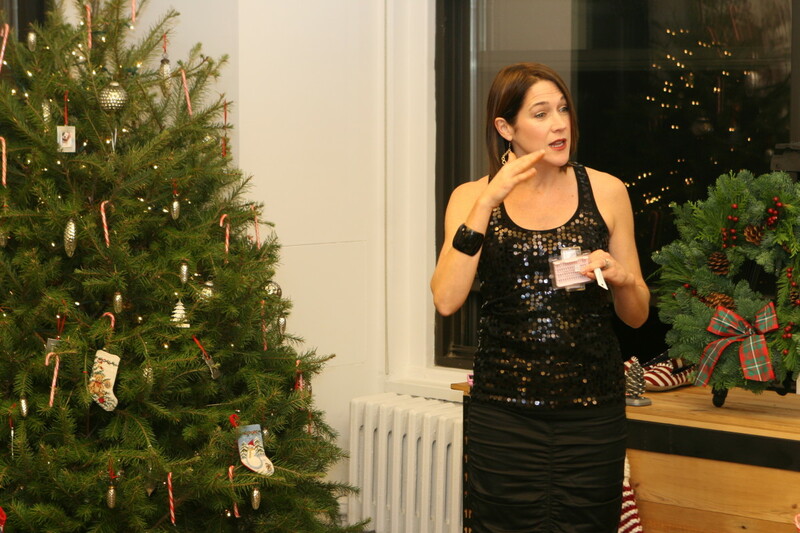 Evy Drew, make up artist extraordinaire, spoke to our crowd of editors about how to create a smashing look over the holidays. For the eyes, Evy suggested to wake them up with false eyelashes. This can be done by using just a half row to create wider and fuller lashes. Evy also mentioned that they create the appearance of being rested and wide-eyed. To apply, Evy suggested to always do so before your eye make up and concealer. For the lips, Evy said not to be afraid of red lipstick. This really gives the face a radiant look and wakes up the face. She suggested that you should powder your lip first. 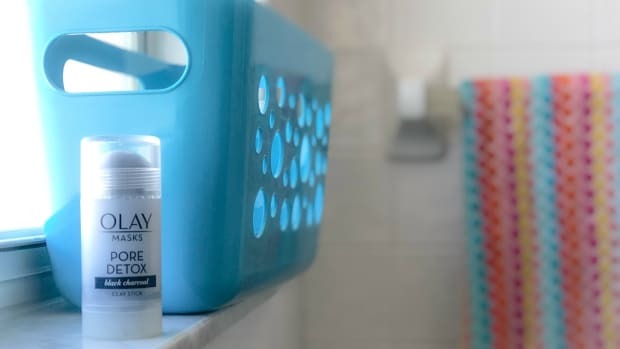 For the face, Evy suggested tinted moisturizer, which livens up the face. 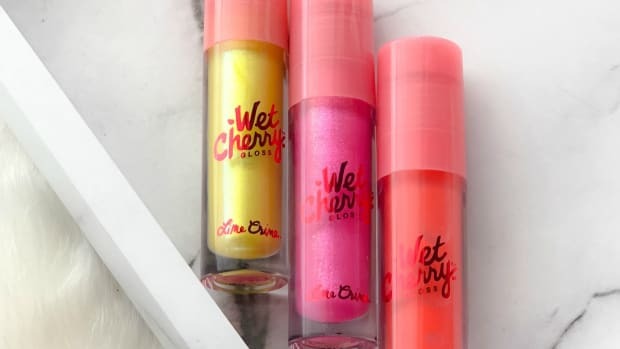 She also said that it can be used on wintery white legs too to give them a nice and natural color boost. 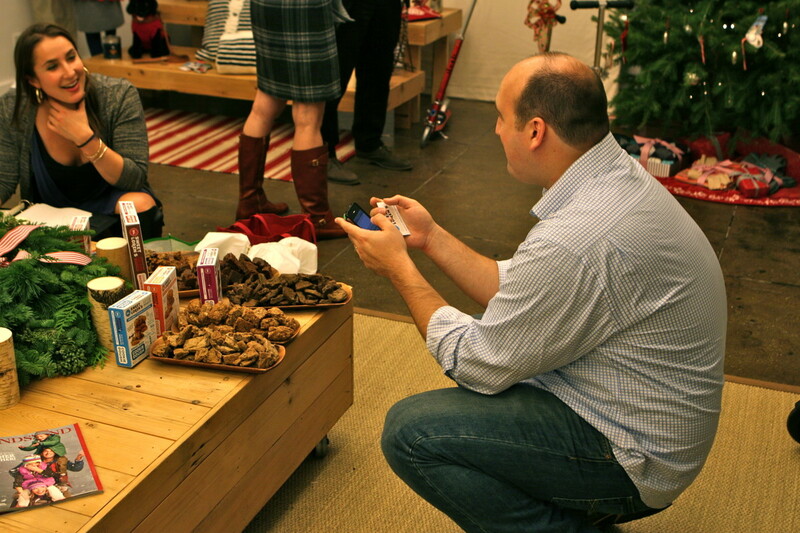 Scotch Naturals, a non-toxic nail polish, put the finishing touches on our guests look with their 2011 Fall Holiday collection. All dressed and decorated, but no gifts to give? We checked out Nicole&apos;? 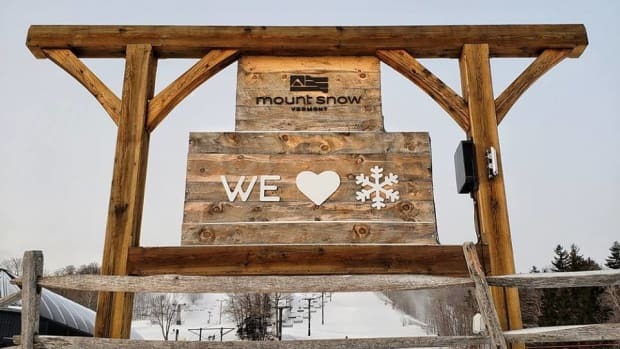 ?s holiday picks from Lands&apos;?? 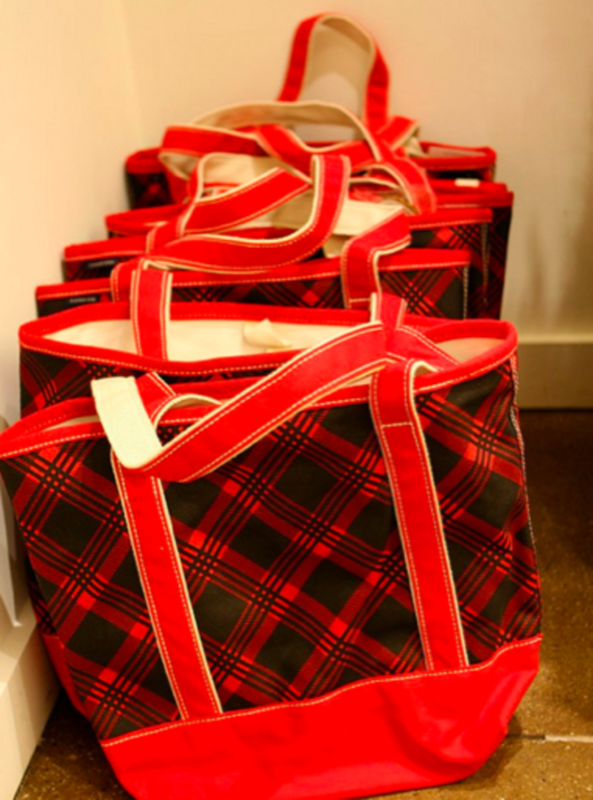 End that included gifts for the hostess to the husband, all under $60. Ricossa Moscato D&apos;? 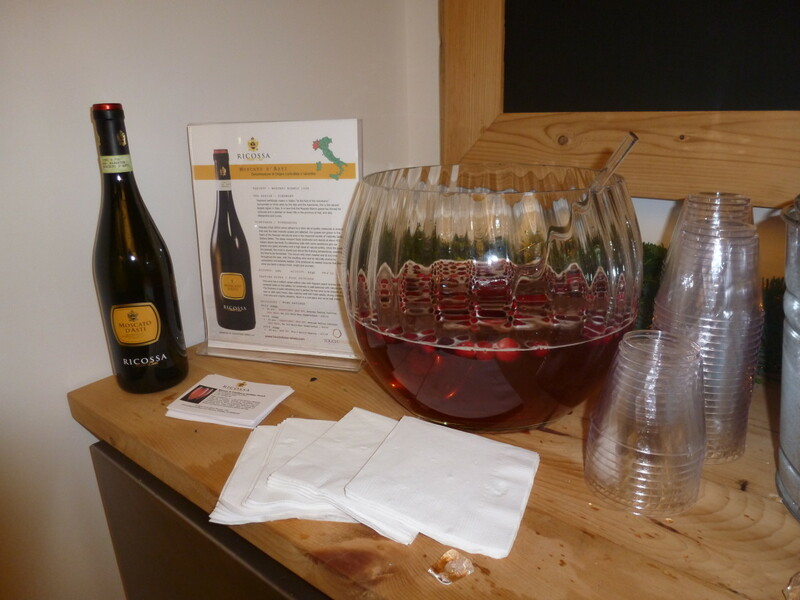 ?Asti ($14.99) livened up the party with a refreshing Ricossa & Cranberry Holiday Punch for our guests to enjoy. Try it yourself! Steep cranberries in 1 cup of the Ricossa Moscato d&apos;? ?Asti for 5 minutes. Transfer to the freezer until cranberries are frozen. In a pitcher, add 1 cup of cranberry juice to 32 oz of Ricossa Moscato d&apos;? ?Asti and gently mix. Keep chilled. Add a couple of frozen cranberries to each glass before serving. 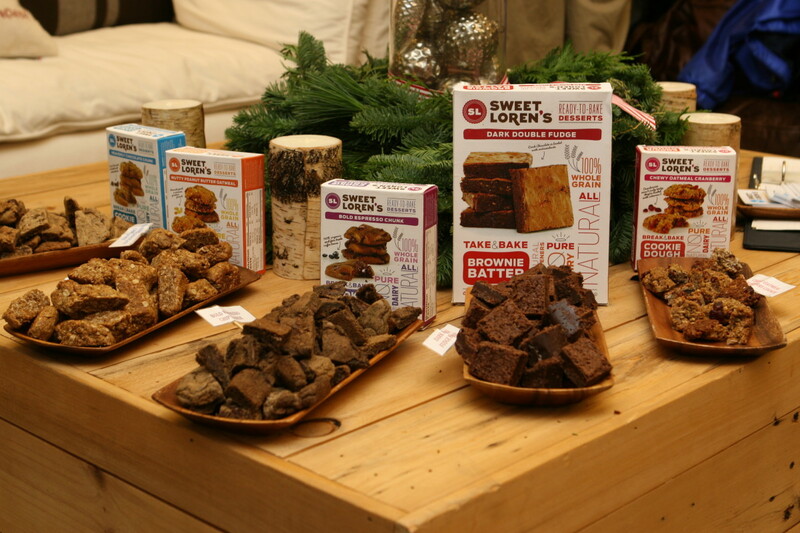 Baking this holiday season just got easier, healthier and sweeter thanks to Loren Brill, founder of Sweet Loren&apos;? ?s Ready to Bake Desserts who shared her all-natural baked goods. The Dark Double Fudge is divine! 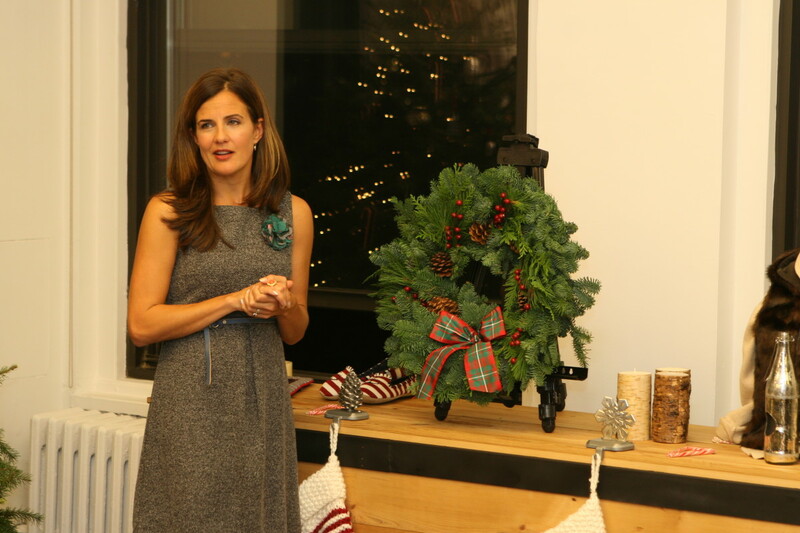 Sherri Schubert is our Events Editor for Momtrends. She lives in NYC with her husband and two children. Sherri&apos;? ?s our go-to resource for event planning and covers many fashion events. Contact her at Sherri (at) momtrends (dot) com.